Have you been in contact with someone from the military who claims to be deployed in Afghanistan? Or maybe is overseas working for the U.N.? If you or someone you know is in a situation such as this, pay special attention to this information. 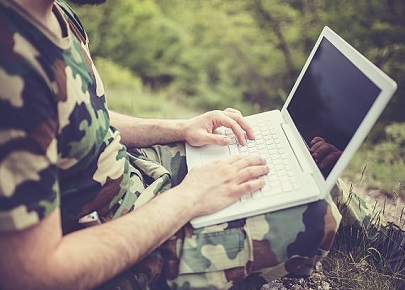 Military scams have continued growing despite the warnings, and its time to figure out why and how to identify the online risk from this type of fraud. Hundreds of thousands of people around the world, especially from the United States, the U.K., Canada and Australia, are falling victim to romance scams linked to criminals who pretend to be members of the military and Armed Forces. Many of these victims were aware of some of the warnings regarding this crime, yet they still chose to ignore the alerts. Why? Because internet criminals are good at what they do. Expert private investigators believe the lack of skepticism is to blame. Every person who is dating or socializing with a stranger online is a potential victim. However, most of the victims see the warnings and think it’s not happening to them, because the person they’ve met seems honest. In some cases, criminals will send photos, ID copies, and detailed information about their service record, family, education and military background. They spend a lot of time chatting, they are willing to answer any questions, the details of their stories match, and so on. But the truth is that military romance scammers have in fact done a lot of work to convince their victims of their legitimacy. 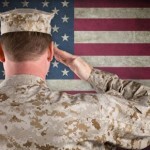 For most scammers it is not the first time they falsely claim to be a member of the military stationed in a combat zone. Online criminals are organized, they have scripts, they have done their research and they have experience in the matter. They also have access to forged documents and photos that belong to real military men and women who are victim to identity theft. Online fraudsters have engaged in thousands of online relationships through social media or dating websites, so they do know very well how to trick people into sending money for fake service-related expenses and how to blackmail or use your personal information for their benefit. 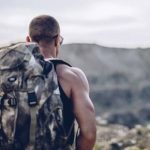 What to do if you are in contact with a military member online? The first thing we all need to understand is that regardless of the specific circumstances of the relationship, whether it is serious or not, whether the other party has provided a lot of information about their lives or almost none, verifying is a must. The only effective way to know if you are being scammed by a fake soldier in Afghanistan is to have a professional verify the facts. Checking ourselves with the limited capabilities that the internet provides is not enough, and although friends will also volunteer to help, there is not much to be done with an online search. Real evidence requires real investigators in the country where you need them, who have the training, access to local records and evidence, and can determine if this person is who he or she claims to be. Getting a background check to verify a soldier in Afghanistan from a reputable international private investigator is the best way to go. A thorough investigation would include verifying birth records, military records with the proper branch of military (Army, Marine Corps, Navy, etc), passport or military ID, immigration records, birth and travel records, education and employment history, station in Afghanistan and any other relevant information or documents. Keep in mind that the timing is also important, so make sure you verify the facts soon! Once you have sent money or shared important personal data it might already be too late. I learned the hard way that the best option is to check first. I found out too late that I was being scammed. I wish I had found you guys sooner.